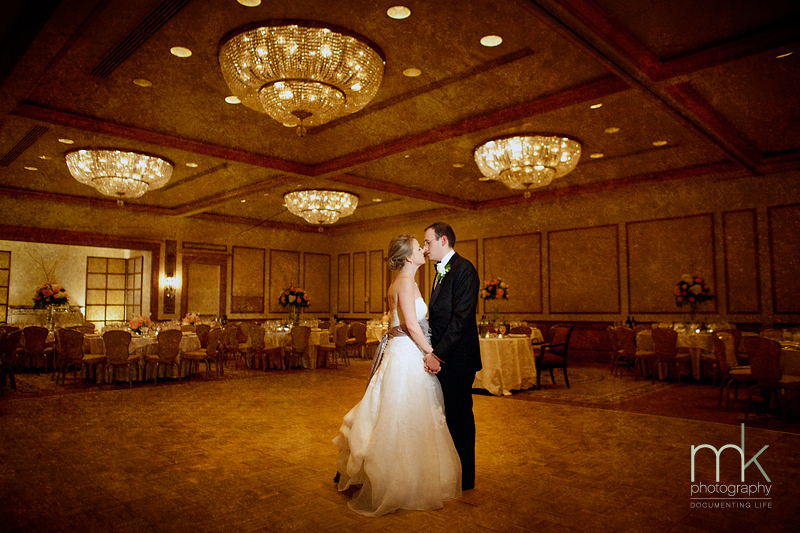 We loved working with Ashley and Evan and their families.Thank you everyone who made their wedding day special. 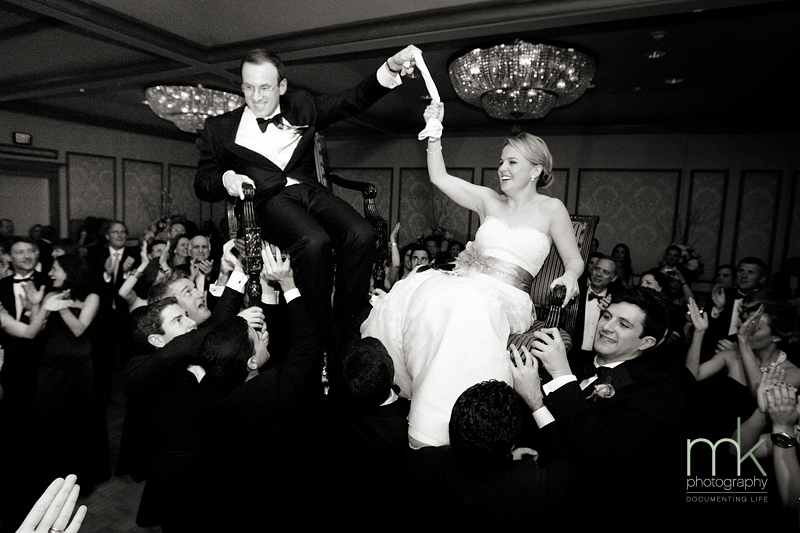 I could never write a story better then the bride and groom. 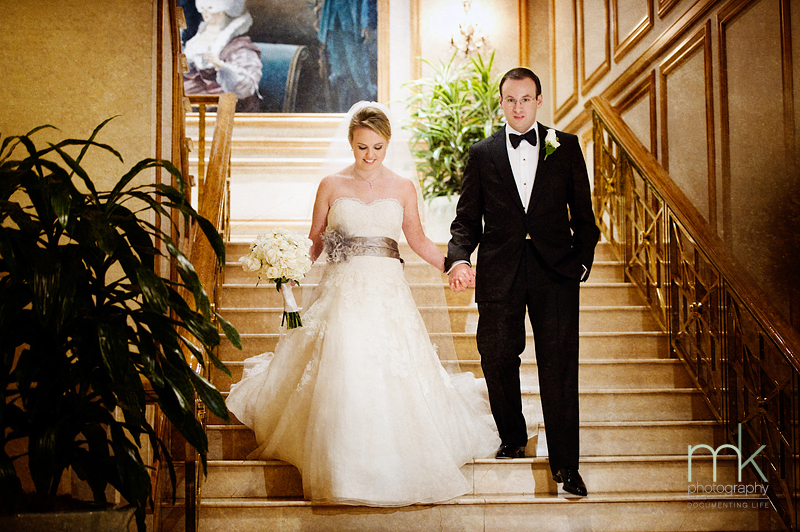 My dress designer was Watters Brides and the sash was custom designed by Kim Hicks. The Shoes were Jimmy Choo. The bridesmaids dresses were Thread. The earrings that I wore were from Jennifer Miller and the balance I borrowed from my mother in law. 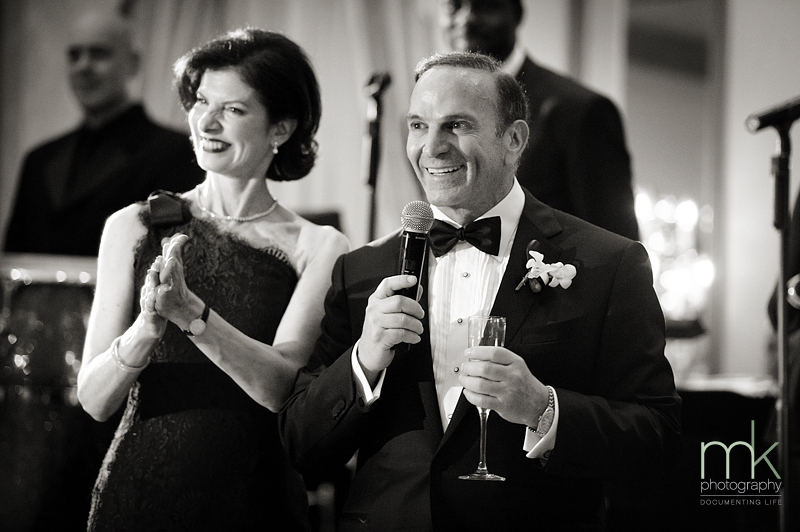 The invitations and wedding programs were from Apropos in Greenville, Delaware. 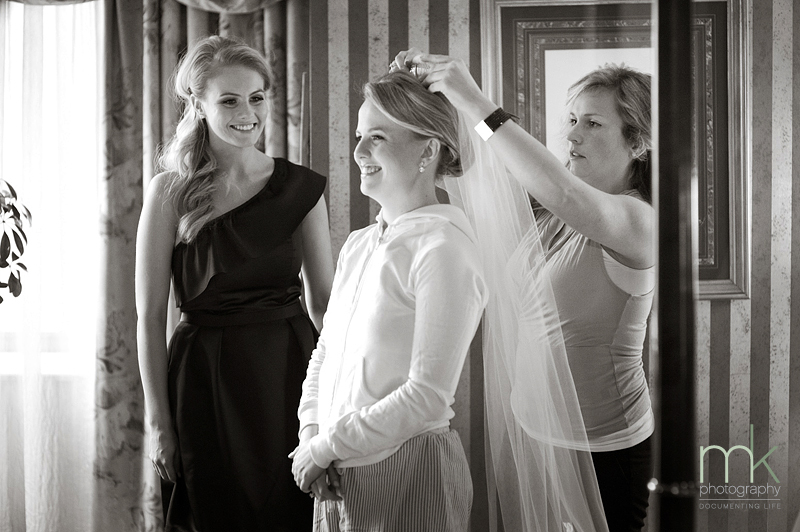 One of details that I would like to share with other brides is to just enjoy yourself and this special time. I had a great time planning the wedding with my mom and mother in law. 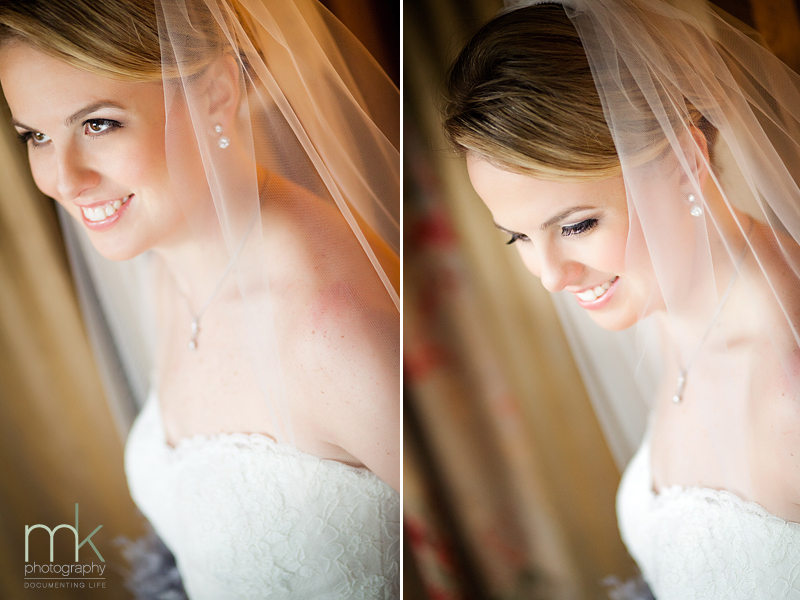 I also would recommend that the bride and groom add personal touches to the wedding day. 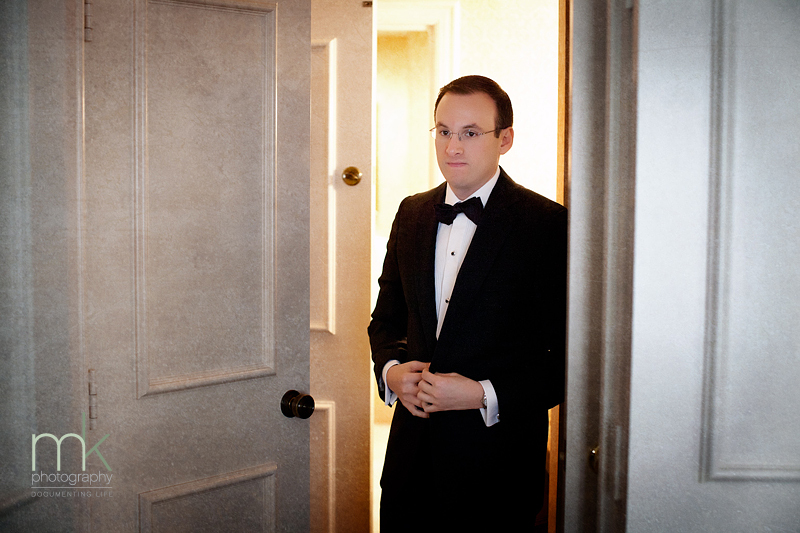 My cousin Teddy is an accomplished piano player at 11 years old and he played the piano as I walked down the aisle. Evan’s Aunt Laura, is a beautiful singer, and sang a song during our reception. 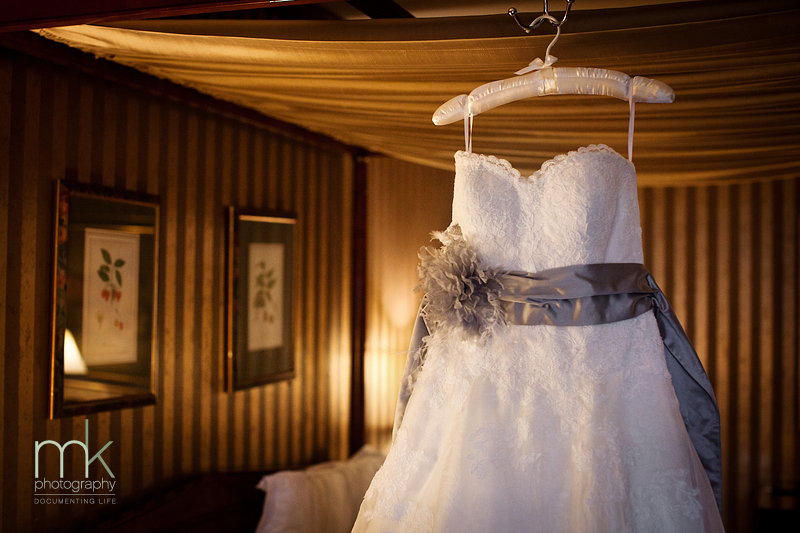 Those special touches made our day even more personal and intimate. Evan and I had plans to go out to one of our favorite restaurants for dinner with our friends Blake and Stephanie on a Friday night in early May. Midway through the day, Evan told me that Blake had surprised Stephanie with a room at the Waldorf Hotel as an early birthday present and that they had invited us for a drink in their room before dinner. 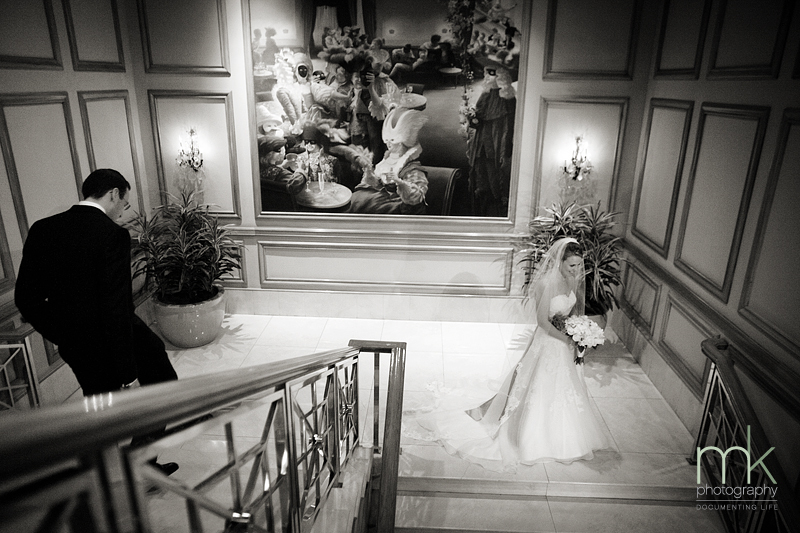 After work, I met Evan in the lobby bar and we headed upstairs to Blake and Stephanie’s hotel room. Evan had a key to the hotel room and when he opened the door, I immediately knew that we were no longer celebrating a birthday! The room was decorated with a red carpet, rose petals and a silver tiara (I had been following the Royal Wedding for months)! Evan got down on his knee and asked me to marry him! I of course said yes right away and we spent the rest of our fairytale night and weekend celebrating with each other, family, and friends. 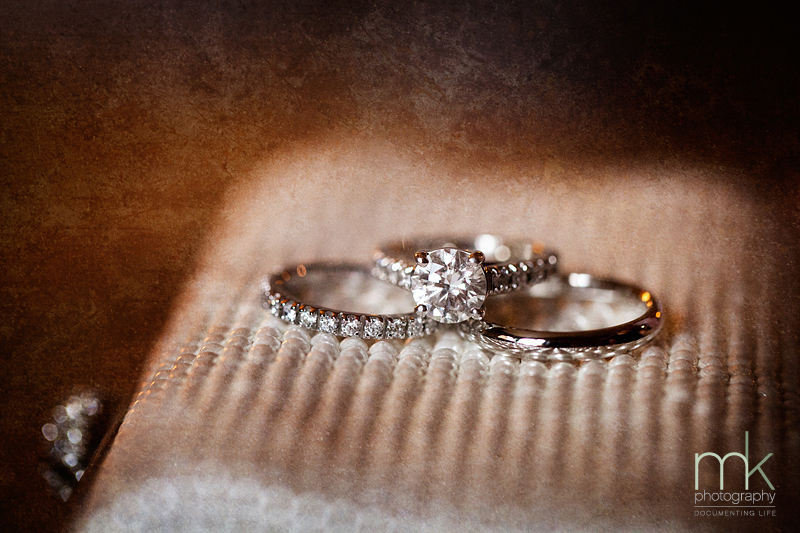 I am so lucky to be marrying my best friend and prince charming! 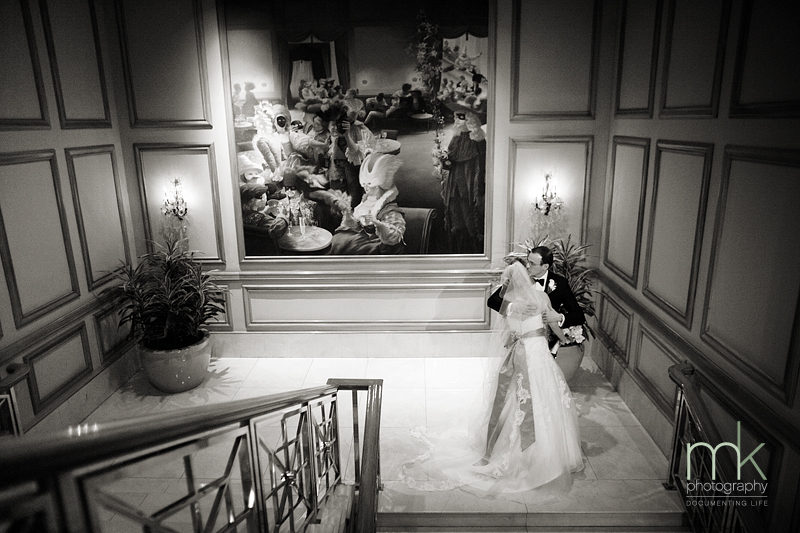 In regards to wedding planning, we felt like the Rittenhouse was the perfect venue. Since were were trying to find a compromise between my hometown in rural Pennsylvania and Evan’s hometown of NYC, we decided on a city wedding in Philadelphia. 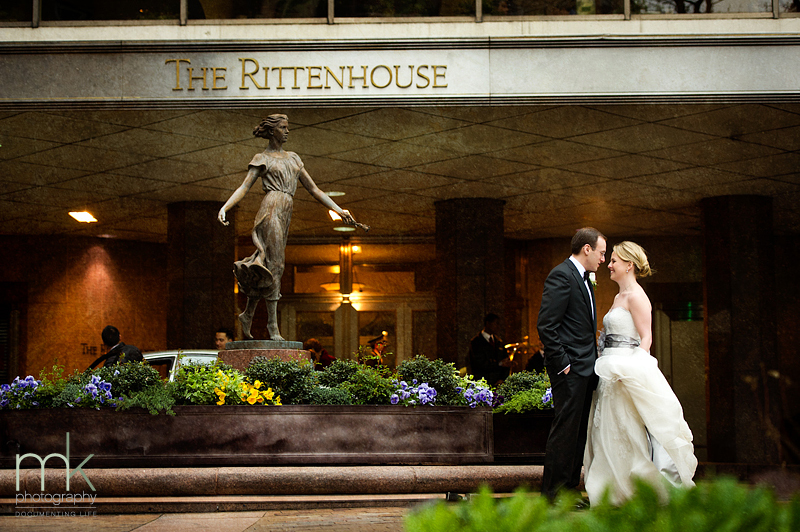 The Rittenhouse was beautiful and we fell in love with the location. The vendors my family and I have known for a long time. My parents have known Teresa Quill, the florist, for over 20 years. 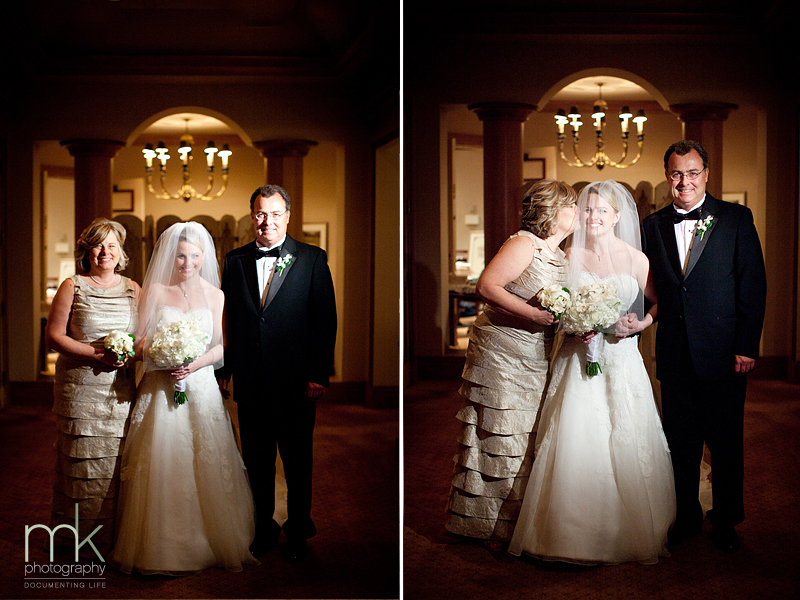 Teresa worked with the Rittenhouse and with my mom and I to create a beautiful ceremony and reception. 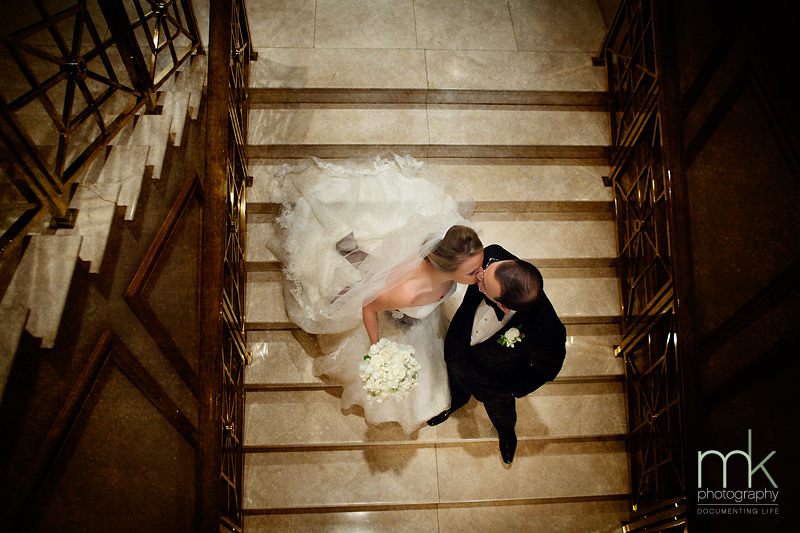 I knew that I wanted the wedding to be traditional and classic, but with some modern and fun updates. 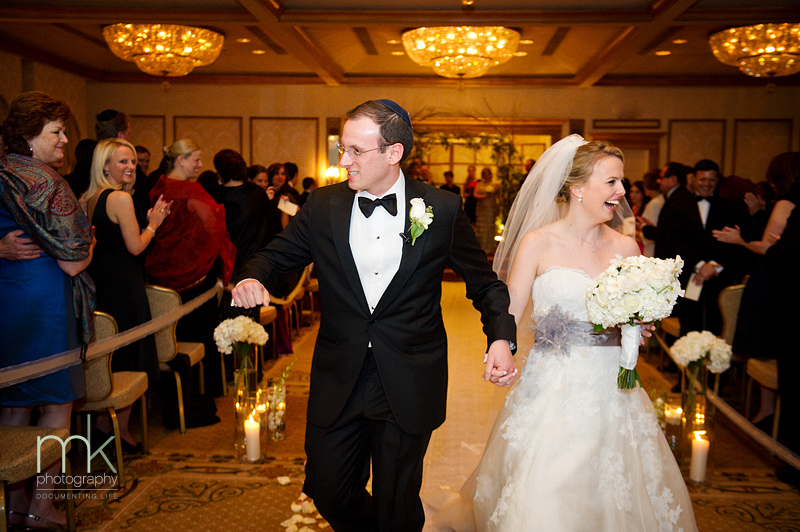 I loved the round hydrangeas that flanked the chuppah and I loved the candles that lined the ceremony aisle. 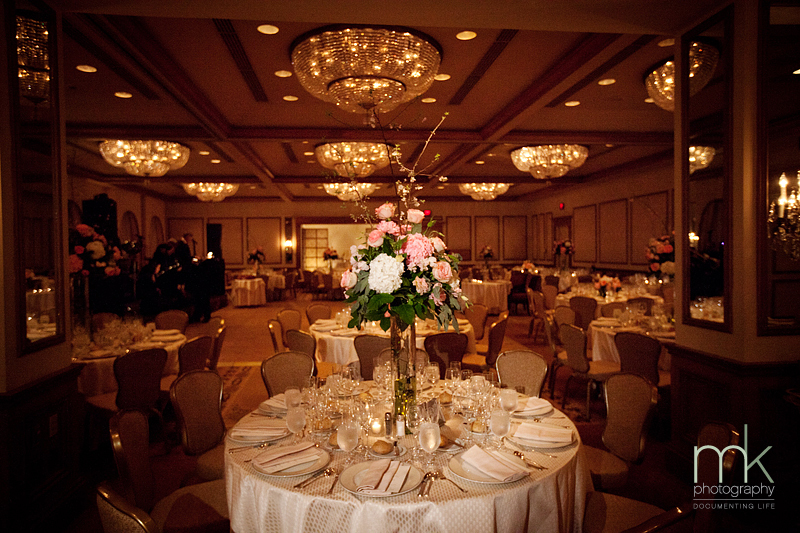 We decided that the flowers in the reception should be white and light pink to compliment the elegance of the Rittenhouse ballroom. 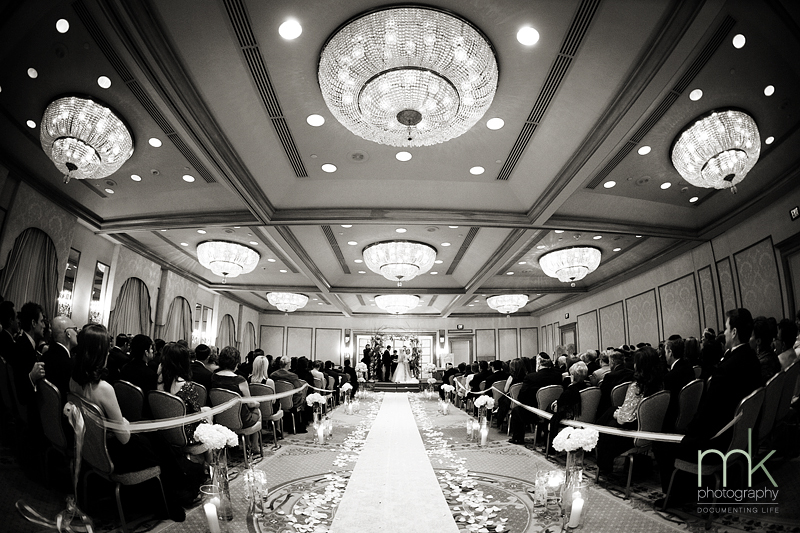 I found the chuppah inspiration from Style me Pretty blog. 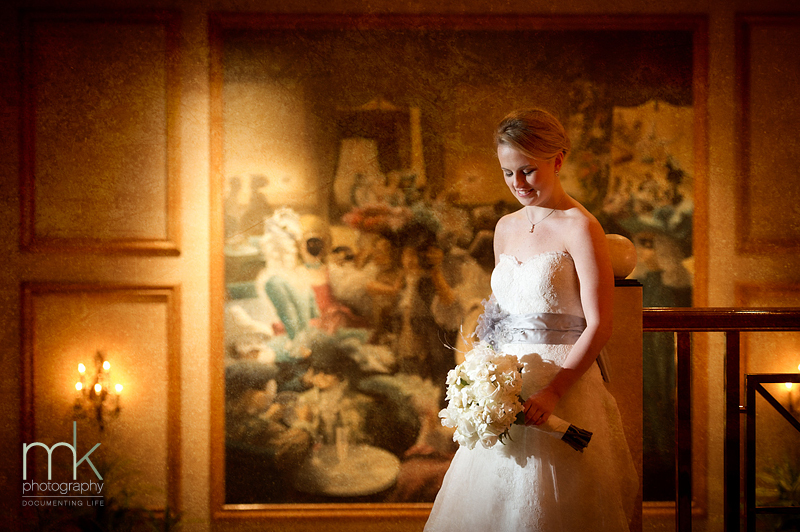 And most of all, we are so happy that we decided to use MK Photo. 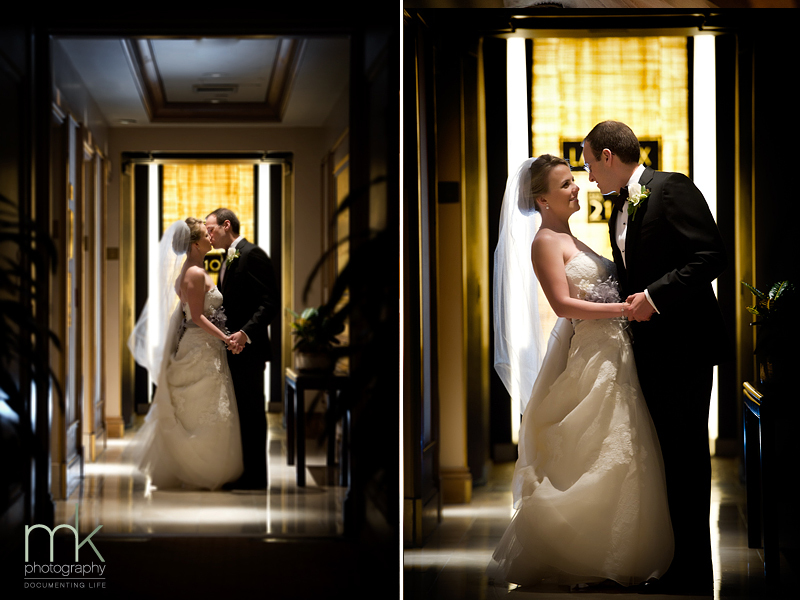 We are so happy with all of our pictures- you captured everything perfectly and we so enjoyed working with you and Mike. 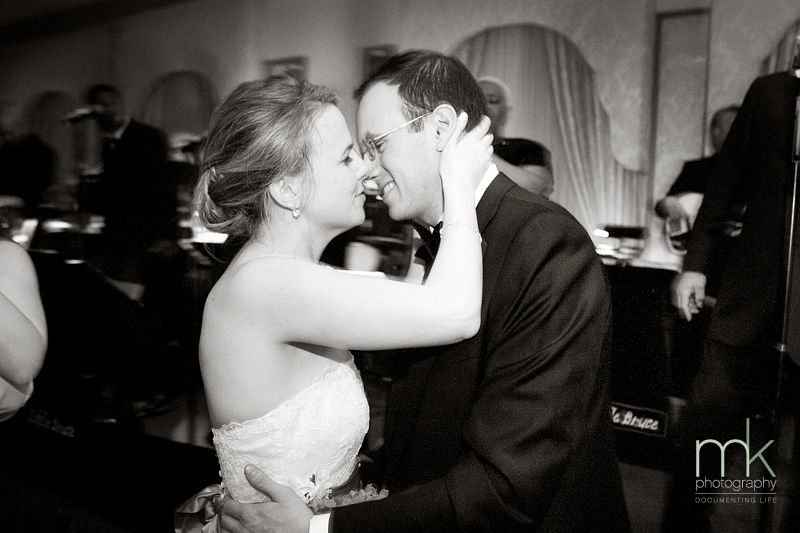 This entry was posted on Thursday, May 3rd, 2012 at 12:17 pm	and is filed under Brides, Weddings. You can follow any responses to this entry through the RSS 2.0 feed. Both comments and pings are currently closed.